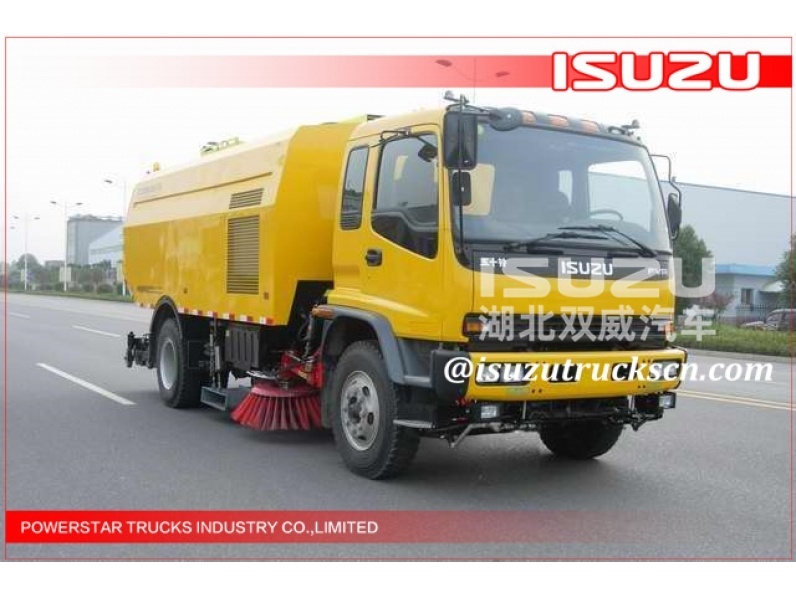 FTR washing road sweeper Isuzu (also called street sweeping truck, dustbin road sweeper, hydraulic road sweeper, waste collection sweeper truck, road cleaner sweeper, vacuum road sweeper, brush road sweeper) is a new road cleaning machine developed through refitting the Isuzu truck chassis which is excellent in performance and conforms to the European emission standard. 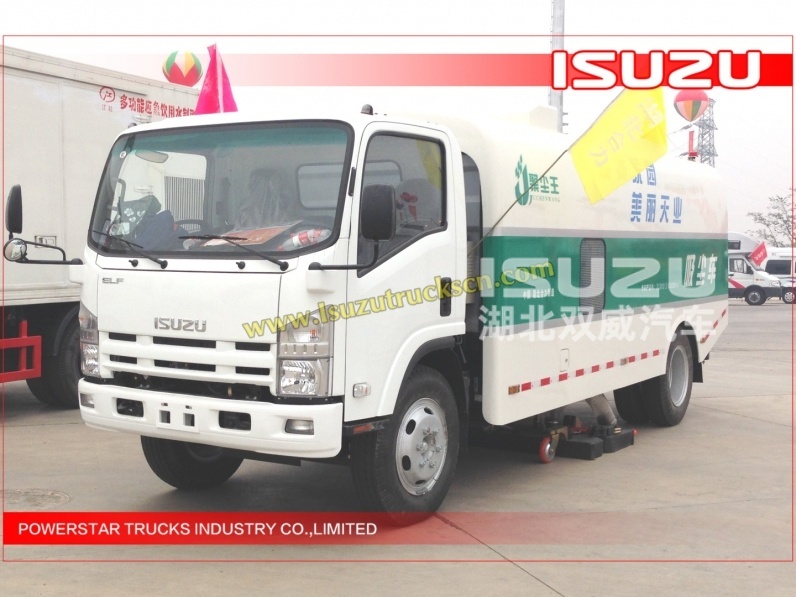 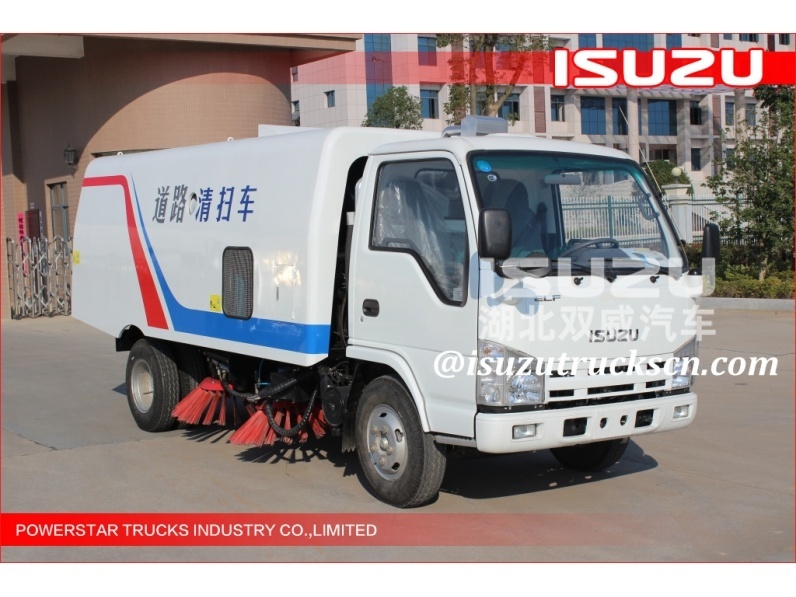 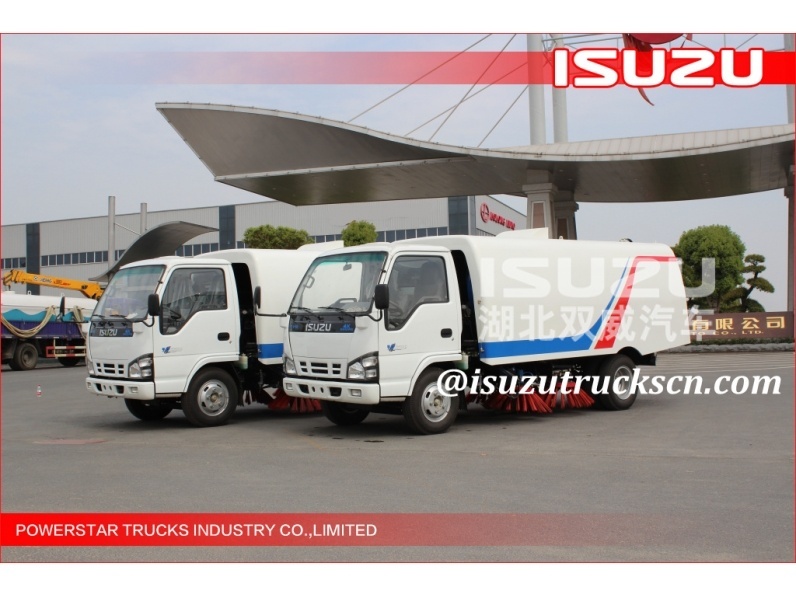 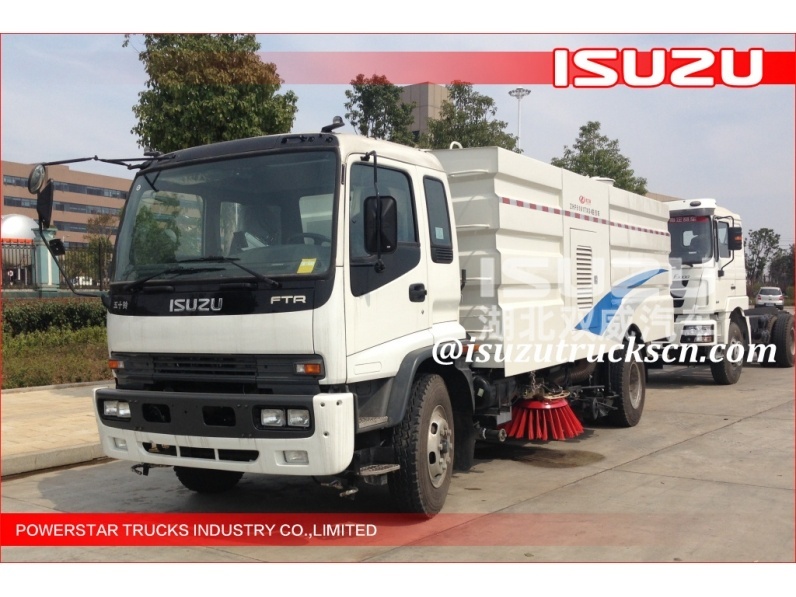 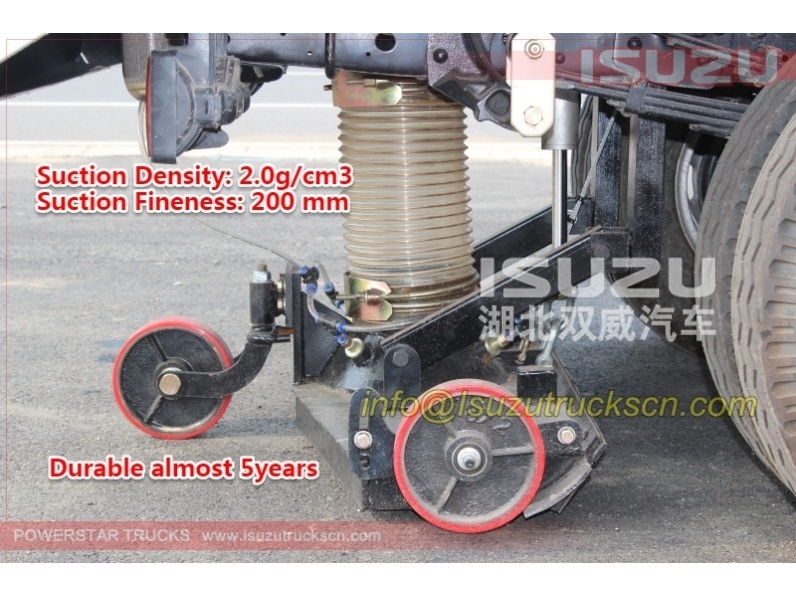 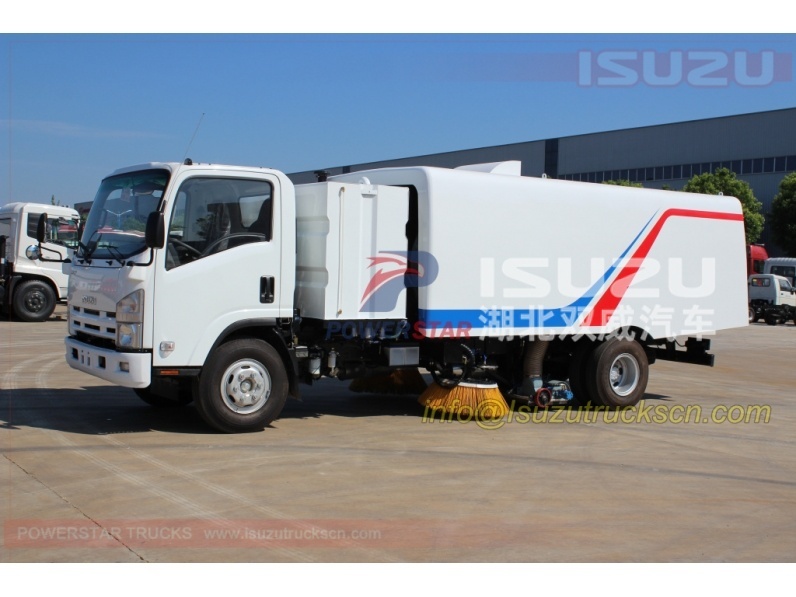 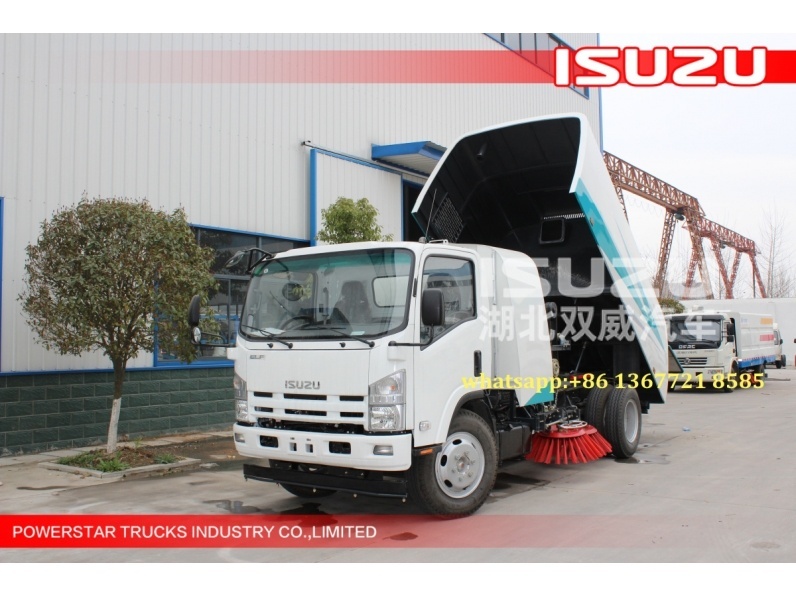 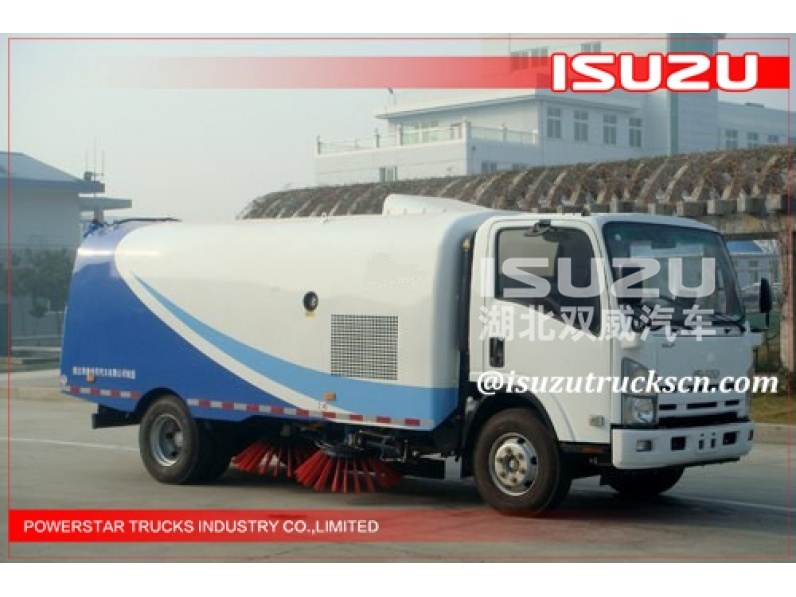 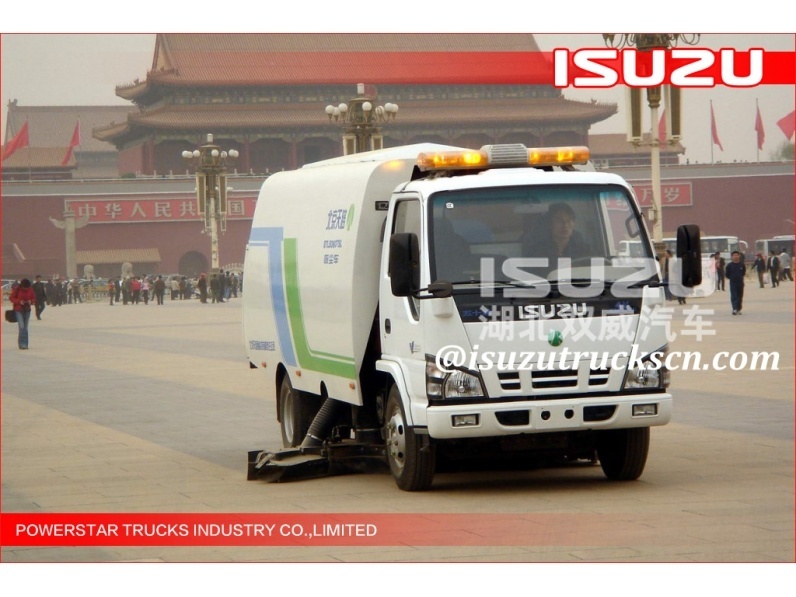 This Isuzu street sweeping vehicle has a proper and practical structure with four sweeping brushes in the middle while the suction port at the back part of the vehicle chassis. 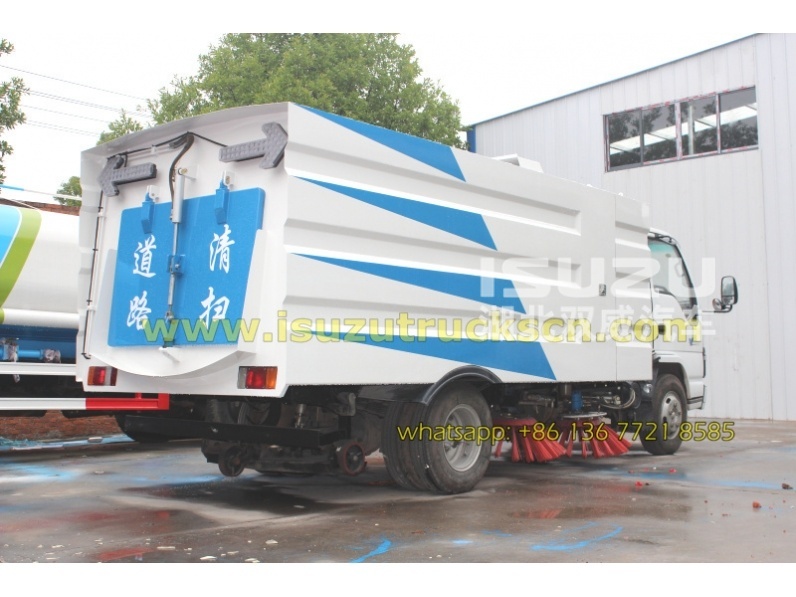 The sweeping brushes can avoid obstacles automatically. 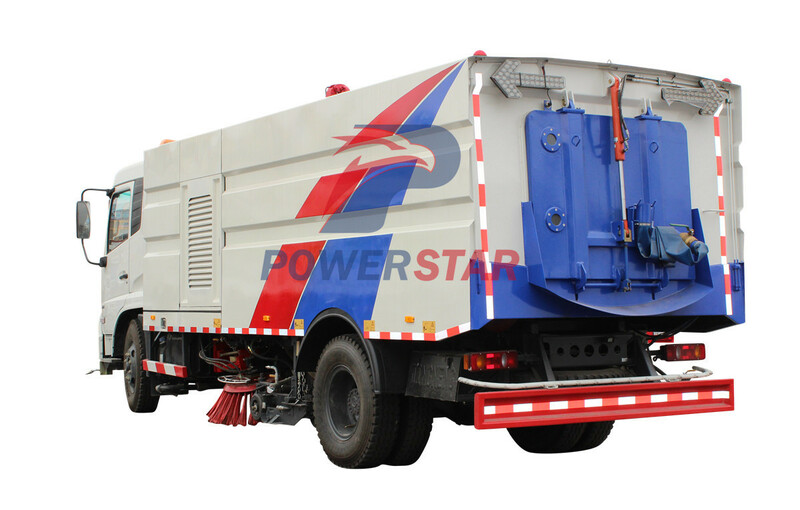 With low-noise suction system and famous-brand hydraulic components, our street sweeping vehicle are more stable and reliable in performance. 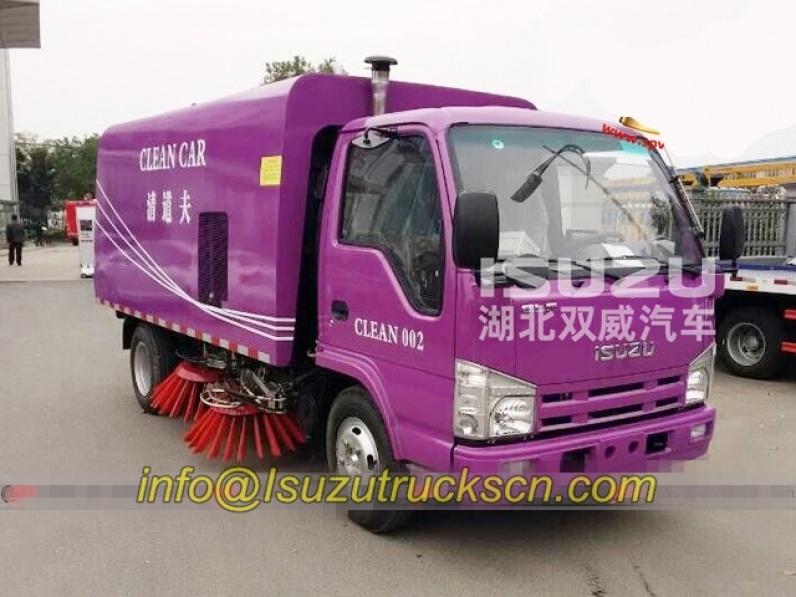 The Sweeper truck also adopts the way of vacuum suction and sweeping combination, wet dust removal, electro-hydraulic control and hydraulic dumping unloading to clean the road. 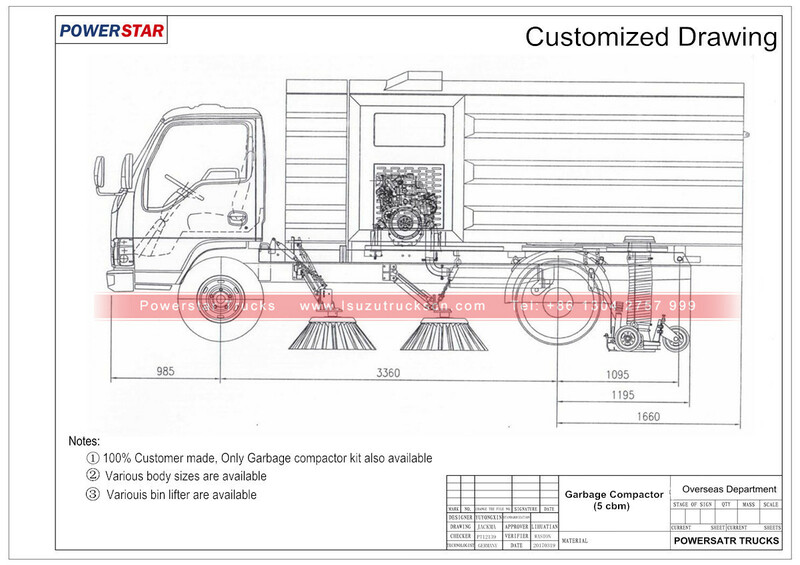 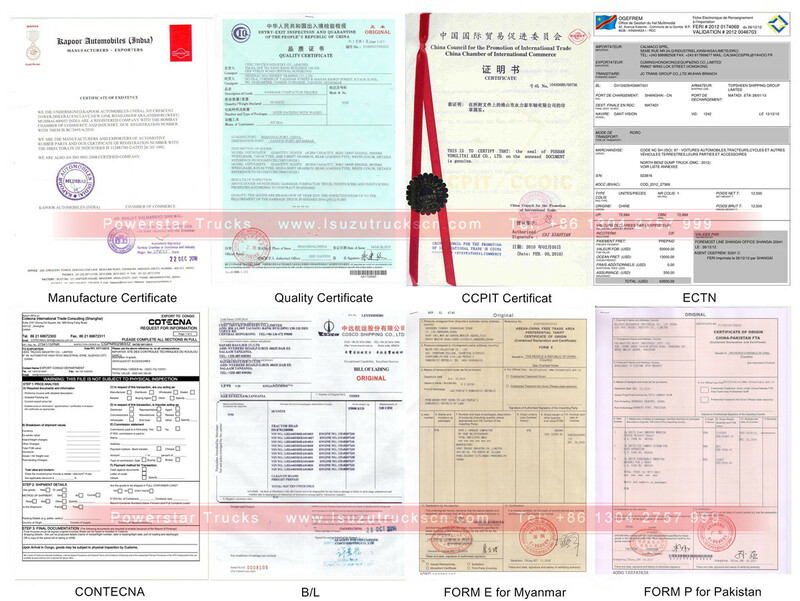 ---- Dustbin tank body capacity from 3 to 10 Cublic Meter. 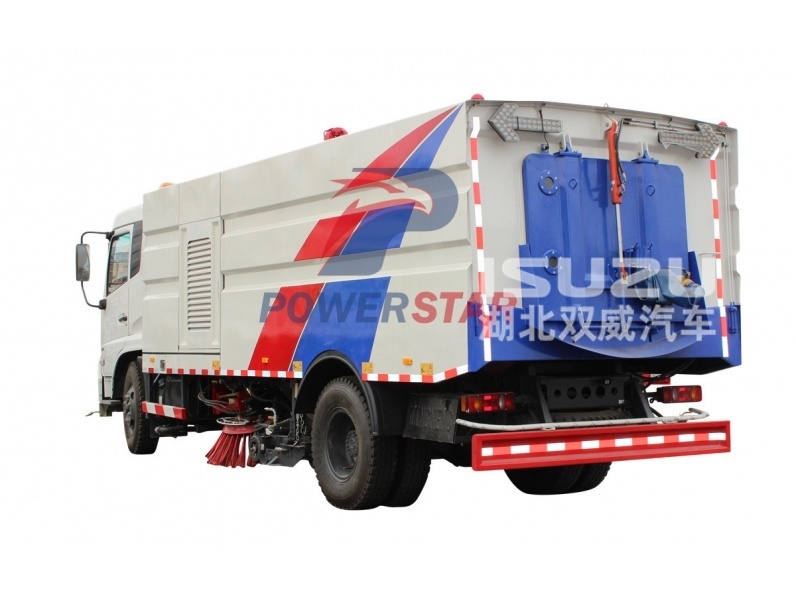 ** Water jetting system can be choose. 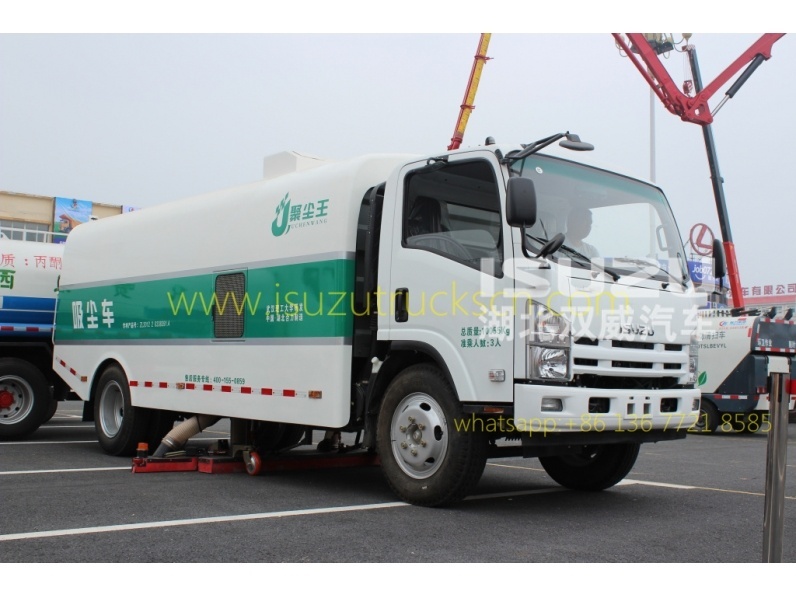 ** Paint color or LOGO. 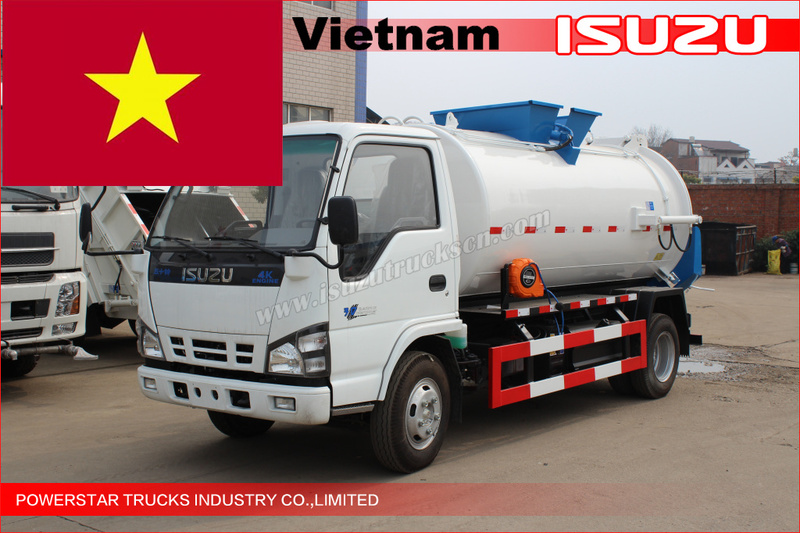 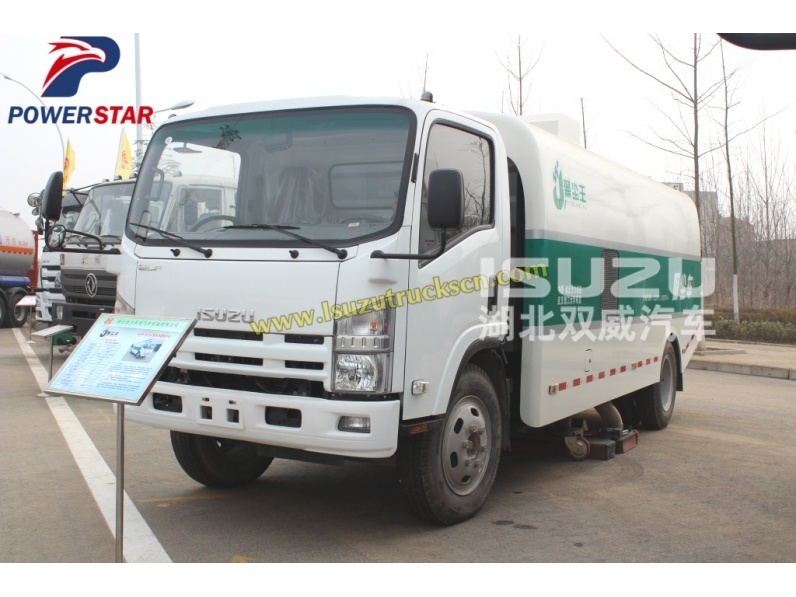 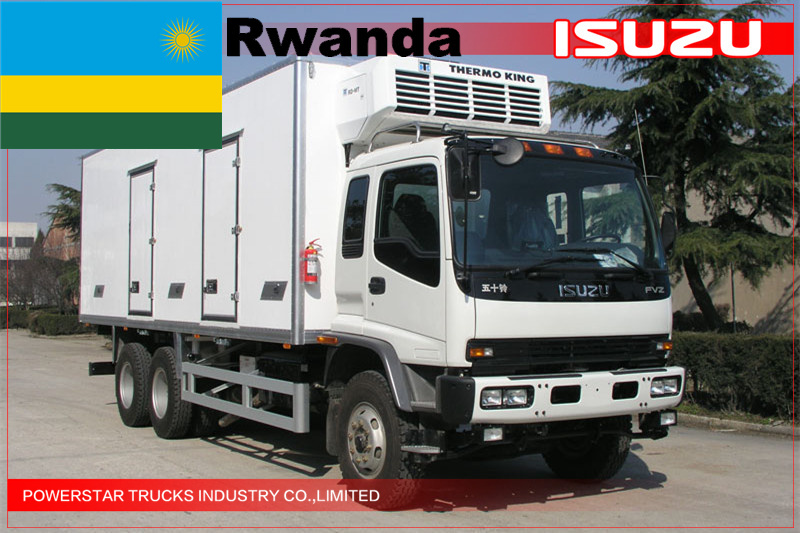 Watch ISUZU water tank trucks on YOUTUBE.